A massive cumulative update for the latest version of Windows arrived last night, complete with noteworthy fixes. No indication why, but many report that the bug fix isn’t being fed through Windows Update just yet. Late last night — on a Monday, mind you — Microsoft released its second big cumulative update for Win10 version 1709. This completes the triumvirate of second cumulative updates, since last week, on the third Tuesday of the month, Microsoft released second cumulative updates for Win10 1703 and 1607. There’s a pattern emerging. Microsoft is now showering Win10 customers with two (sometimes more) cumulative updates a month, and they’re big. The first cumulative update contains security patches and a big hodgepodge of additional bug fixes. The first one is (usually) released on the second Tuesday of the month. The second cumulative update arrives, uh, whenever, and it contains massive amounts of bug fixes in addition to those in the first — including, if we’re lucky, fixes for the bugs introduced by the month’s first cumulative update. 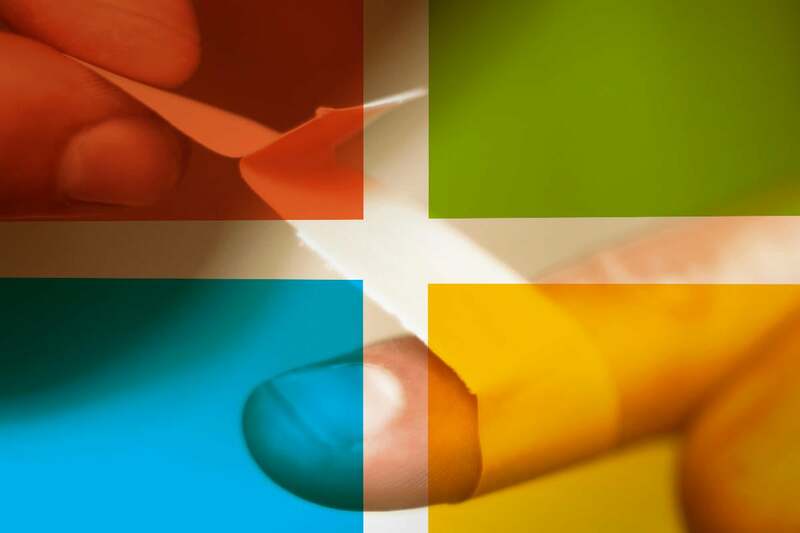 Last night, Microsoft released KB 4093105, which has a list of bug fixes that goes on and on and on. It brings the build number up to 16299.402. Windows Update failed to pick up the new update on a Windows 10 Pro machine. It returned KB4093112 instead which Microsoft released on the April 2018 Patch Tuesday; that update was installed on the machine already, however. Manual download from the Microsoft Update Catalog site and installation worked, however. My (sole) bare-metal 1709 machine isn't picking up the update either. The sheer volume of patches these days boggles my mind. My list of updated Knowledge Base articles shows there have been mods to 7,679 KB articles so far this month. Gotta gripe about the pace of patches? Join us on the AskWoody Lounge.